tpdnews: Boston man arrested for larceny. 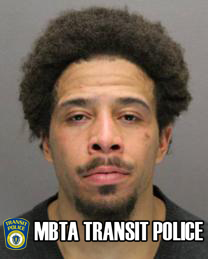 On March 21, 2018 at approximately 5AM Transit Police officers assigned to the Central District received a radio call to respond to the MBTA's Downtown Crossing Orange Line for a medical emergency. Upon arrival officers located an unconscious 52 year old male. Officers undertook life saving measures and Boston EMS was summoned. Unfortunately the male was pronounced deceased on scene by EMS. A preliminary investigation revealed prior to the officers arrival a male, later identified as Anthony Stimson, 30, of Boston approached the victim as he lay unconscious and rummaged through his belongings and person and stole items from him to include the victim's prescriptions. After obtaining his ill gotten gains Stimson vacated the area and took no further action to summon help for the unconscious victim. Officers located Stimson on Summer Street shortly after the incident and placed him into custody, Officers located a prescription pill bottle in the name of the victim from Stimson's person. Stimson was transported to TPD HQ for the arrest booking process.